To use this configuration layer, add it to your ~/.spacemacs. You will need to add ruby to the existing dotspacemacs-configuration-layers list in this file. 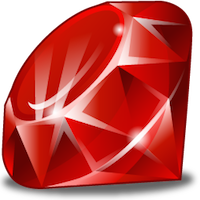 When a version manager is enabled it will use the currently activated ruby except if a .ruby-version file exists in which case the ruby version of this file is used. rvm will also try to look for a .rvmrc and gemfile, the priority order is .rvmrc then .ruby-version then gemfile. Note: Only one version manager at a time can be enabled. This layer supports both RSpec and ruby-test test runners (frameworks). By default ruby-test is used, to change to another frameworks set the layer variable ruby-test-runner. Tip: You can enable different test runners for different projects by using directory local variables. SPC m x "​ Change symbol or ' string to "